Swimator Blog: Online swim lesson resource. 70% of our planet is water - can you swim? - How to breathe with Swimmer's snorkel (front/center mount snorkel)? Since I am on the topic of breathing while swimming, let me explain, what seems like an obvious procedure, how to breathe through the swimmer's snorkel. Before we get to that, perhaps a bit of an introduction of what the swimmer's snorkel is and how it can help you improve your swimming technique. Contrary to a common belief, the centrally mounted snorkel is actually not a modern invention. The first documented record of a front mount snorkel as an aid to swimming can be traced back to 1860s. Wow, how impressive is that? And today 99.99% of swimmers think how hip and cool they are swimming with the newest gadgets :). Funny, how most of us associate things with the first experience we have. Well, anyway, so what is swimmer's snorkel. As the name indicates the front mount snorkel attaches to the front of the head instead of the side like regular scuba or snorkelling snorkel equipment. It also has a more of a streamlined shape where the tip bends towards the back of the head and the snorkel body is flatter instead of round. And finally, it attaches to the head with a strap and not clumsily to a scuba mask (I opted into not wearing my snorkel when I scuba dive as it always just gets in the way). 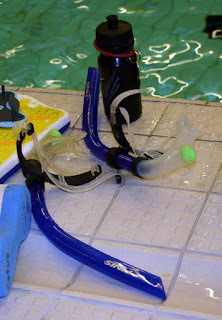 Front mount snorkel is designed to help swimmer's technique and the snorkel can do this in several ways. First, when swimming with the center mount snorkel, the swimmer does not have to worry about breathing, therefore has one less thing to worry about and can bring undivided attention to some other part of the stroke such as body roll, early vertical forearm or healthy kick. Second, the snorkel serves as a sensory cue to keep one's head down while swimming. The swimmer can use the snorkel as a reminder to look at the bottom. Third, it is just plain fun to swim with a snorkel and it breaks up the monotony. 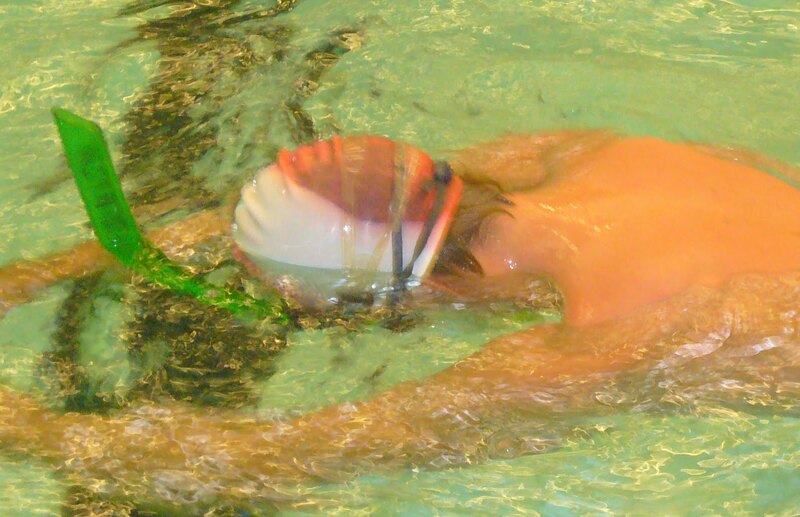 Fourth, a swimmer can also use the center mount snorkel to help with chicken peck breaststroke problem by attaching the snorkel upside down and in the back along the spine. Fifth, using the front mount snorkel can help strengthen your lungs and here we come to the whole idea of this article. How do you actually breathe through the damn thing? There are two basic ways. Obviously, the intake of air has to go through the snorkel pipe so I will not discuss that. However, the variation comes in when we talk about exhalation (getting rid of your air or blowing the air out of your lungs). The first method is to utilize your nose to blow the air out before the next inhale. This method makes sure that you are not sending breathed out air back into the snorkel pipe, so your pipe air is nicely rich with oxygen at all times. As we all know, when we exhale, our breath contains much higher concentration carbon dioxide than during the inhalation process, so by exhaling into the water, we are getting rid of it there instead of the pipe. Furthermore, by exhaling through your nose, you actually get rid of the air quicker since you cannot control the amount of air coming out of your nose as you can with your mouth. However, this is not necessarily an advantage at first as it takes some time to get used to the fact that you inhale and exhale through different parts of your face. So, until you get used to it, you might feel like you get rid of all your air and then need to very quickly inhale. Also, don't forget that you still need to purge the water from the snorkel via your mouth when you push off the wall or if you get water in your snorkel at any time of your swim. The second method uses only the mouth to exhale, so the excess CO2 gets sent back into the pipe where it mixes with the fresh air and then it is inhaled as a mixture back into the lungs. You may be wondering, why in the hell would I want to breathe out into the pipe through my mouth, that doesn't make any sense. I want oxygen, you told me so in the bilateral breathing article, don't I? Yes, you are correct, however, like anything in training, we always strive to improve something about what we do, be it perfecting your technique, strengthening your kick or improving your lung performance. And this is where the swimmer's snorkel also comes into place. Since you inhale and exhale through your mouth into one single plastic pipe, the air that you subsequently inhale has less oxygen and more carbon dioxide than normal fresh air. This, in turn, makes it over time a bit more difficult to breathe and you need to really focus on properly purging the air out as well as your stroke. Think of it in similar terms as in hypoxic breathing swimming sets where you'd breathe every 3rd stroke, every 5th stroke and every 7th stroke for a certain distance (25,50,100 or more if you are advanced). There is one handy piece of additional attachment which can be placed on top of the snorkel tube and the sole purpose of this gadget is to restrict the flow of air into the tube. It is called the Cardio Cap. While using the Cardio Cap your lungs have to work even harder to get the appropriate oxygen intake. In a way, it is like swimming in an altitude where the air is a bit thinner. So, you can be in Colorado or apparently now even in Australia (possible at your local swimming joint). If you are not into buying a gadget and you'd rather try this in some other way, you can always stick your tongue into the tube during the inhalation process which makes the inhalation a bit harder as you are restricting the intake flow. So what is the key take away from all this breathing through swimmer's snorkel stuff? It is simple, there is no right and wrong here. If you use the snorkel to improve some part of your stroke and do not want to worry about getting into an oxygen debt, then breathe out through your nose (if you can master this technique). If you are a bit more advanced and can do many things at ones or if breathing out through your nose causes you some issues, then why not purge your excess air out through the pipe to make you work a bit harder. Ideally, you'd be able to switch your breathing type and pattern on the fly, so either of these is possible, but this comes with time and practice as everything else in the complex world of swimming motions :). For example, I've been always using only my mouth to breathe in and out of the snorkel. If I switch to the nose exhalation, I get a bit confused and constantly have to think about breathing through my nose, so in theory, it actually defeats the purpose of the snorkel as I cannot concentrate on something else. Of course, if I were to practice the nose breathing technique, after a while it would be like second nature to me and I could enjoy my technique work in more comfort. If you really struggle with using the center mount snorkel, perhaps the issue is that you are afraid of getting water into the tube and choking on it. In that case, you should check out the Dry Top attachment. The Dry Top is a small, yet sophisticated device which attaches to the top of the snorkel and prevents any water seeping into the tube while you are swimming. So, leave your worry behind and get snorkelling :). @Andrew: thanks for your comment. Your comments are thought provoking, which is great. I don't believe there are enough studies made in order to prove or disprove whether breathing with a restricted airflow makes you fitter. I tend to think so as my experience shows improved performance after hypoxic type of swim sets. However, if we omit the air restriction in terms of improving your fitness, it definitely makes you a better swimmer if you can swim with correct technique under the psychological pressure of having less air intake and still keep relaxed. It teaches you to be more energy efficient in the water, so then when you swim with normal air intake, it seems like a bliss. Also, swimming with cardio cap as oppose to using the common hypoxic breathing techniques (breathe every 3,5,7... strokes) is much better as you are not forced to change your breathing pattern and you can keep breathing in the same way you normally breathe, just with less oxygen coming in. The statement that it stimulates altitude training is of course a bit far fetched as you'd need to restrict your breathing for majority of your day in order for your body to have some physiological adaptation to the conditions, not just 15 minutes in a workout, however, it does have some effect at least immediately after the air restriction exercise. @anonymous: ahh good catch, thanks for the correction. I was not really taking Nitrogen into account as it plays lesser role here, even though it is the most abundant gas. I've made a correction, so it is not confusing. Pretty helpful tips especially for beginners like me that who wants to master the art of snorkeling. Very helpful article. I'm trying yet again to learn...in my late 50s. Any facts and opinion on the regular swimmer's snorkel vs. the freestyle version. My Y instructors say my biggest problem is keeping my head down. Appreciate any input. Kevin. Hi Kevin, thank you for your comment. I am not sure what you mean by regular swimmer's snorkel. The regular swimmer's snorkel is the front mounted freestyle snorkel. If you mean the snorkel for scuba diving and snorkeling mounted from a side, I'd advise against it was built for different purpose than swimming and the friction will take your goggles off unless you swim with a mask. Hope this helped. I'm late to the game, so I hope you'll excuse my tardiness. 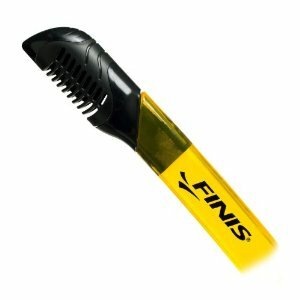 I recently purchased the finis swimmers snorkel and I have a problem with the snorkel turning sideways in the head mount during a flip turn. I believe it's happening as I oush off the wall, but it's a bit distracting when the mouthpiece is ripped out and your goggles are suddenly all in the wrong place and leaking, so I can't be 100%. Have you ever experienced this issue? Keep up the good work and do not hesitate to ask more. So I just bought the snorkel and tried it out. But I felt I was drowning as water went in my nose. Now I am fine with exhaling through the mouth, so should I use a nose clip with a snorkel? @Feroluce: thank you for your question and congrats on trying the snorkel. Feel free to use a nose clip if it makes it easier for you, however, I'd recommend to learn to swim with it without the nose clip. Perhaps, instead of trying the snorkel while swimming, try it while standing and just put your face in the water and practice your breathing that way. When you are comfortable with breathing, start swimming and it won't feel like you are drowning any more. It takes a bit of time to get used to. Good luck. Thank you for this! I will try it. So really the right way to use it is with an 'open' nose eh....Hmm, like you say, it will take some practice to ensure that when I breathe in, somehow I only do with my mouth and not nose. I tried it with the nose clips, and it worked, though as you said, it was hard breathing with only the snorkel! But I love it. Thank you again for responding! I will keep you updated with any remarkable progress (if I make any). @Feroluce, same here. Tried thesnorkel this morning, felt like drowning as water would enter my nose. Did the breathing while not swimming and it helped but no matter what I got water in when swimming. I then pinched my nose and kicked with fins and had no issue. Need to go buy a nose clip today so that I can use it first and then periodically train to swim without the clip.